Homes in NYC & the boroughs are usually not that huge so it is safe to say you need a Bathroom Remodeling contractor with a head on his shoulders for proper space utilization. 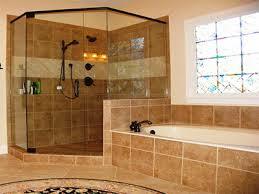 Those attached brick homes in Queens need crafty maneuvering when installing a new bathroom and remodeling your home. A bathroom needs to be a peaceful place that meets your needs. Want your own in-home spa? From heated floors, to hot tubs, to the built in speakers that play your favorite music, New Age Global Builders makes it easy. From Design to Implementation We follow your NYC style and decor right down to the smallest detail in bathroom remodeling like where the light switch should go. Our work is guaranteed on time and on budget even if you live out on Long Island. Our staff is based in Flushing, Queens and Valley Stream as well. it’s New Age Global Builders for the Bathroom of your dreams. Our services include home / residential as well as commercial, hotel, and retail store contracting and construction projects. We are licensed and insured residential and commercial building contractors.